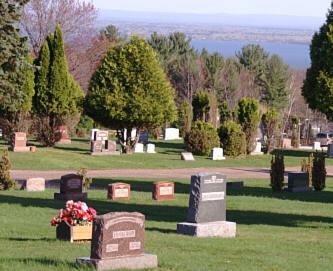 The City Clerk’s office sells burial spaces and makes arrangements for grave openings in Gracelawn Cemetery. Gracelawn Cemetery was established in the late 1800’s and contains the graves of many early Edmond leaders. It is located on the northwest corner of Danforth and Boulevard. Green, Tim G. & Gracie L.
Contributed by Marti Graham, September 2007. Information posted for educational purposes for viewers and researchers. The contributor is not related to nor researching any of the above. I believe in random acts of kindness and I believe in sharing genealogy. If you have copies of photos, obituaries, wills, biographies, or stories relating to any of these families or other Oklahoma County families, would you consider sending them my way for publication at this site? I always welcome comments and corrections.